What to do when product recommendation engines and check out optimisation tools no longer help to increase your bottom line? Our machine learning model predicts what type of messaging should be targeted for each visitor. 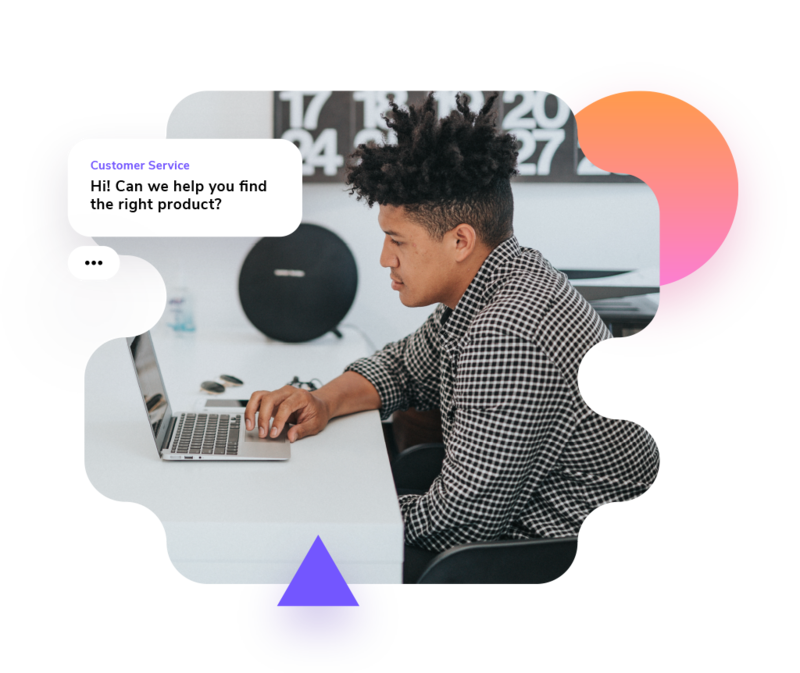 With the help of AI-based targeting, shopping cart integration and UI designed to allow one service rep to handle over 5 simultaneous conversations. We offer the only live AI chat, which will help the conversion rate of your website and increase sales - even up to 6,6 % increase in sales! The giosg live chat solution will allow you to optimise costly marketing actions only to those who need them to convert and increase your conversion rate! Interact with your visitors through targeted messages at the right time. Our live chat allows you to create shopping cart-based conversations and handle 5 chats & more!